Needless to say, Tim Howard one of Mack’s heroes. 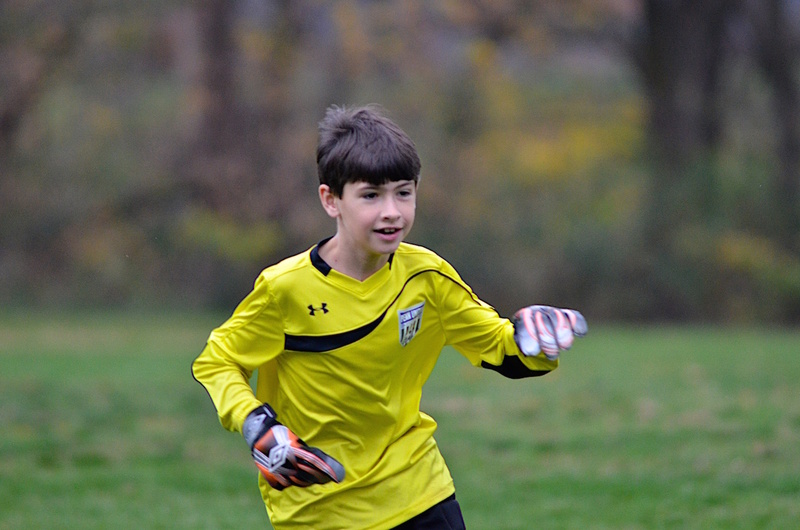 I would ask Mack if he wanted to be like Tim someday and his response was invariable, “Yeah, but better!” That is the confidence you need to be a goalkeeper! 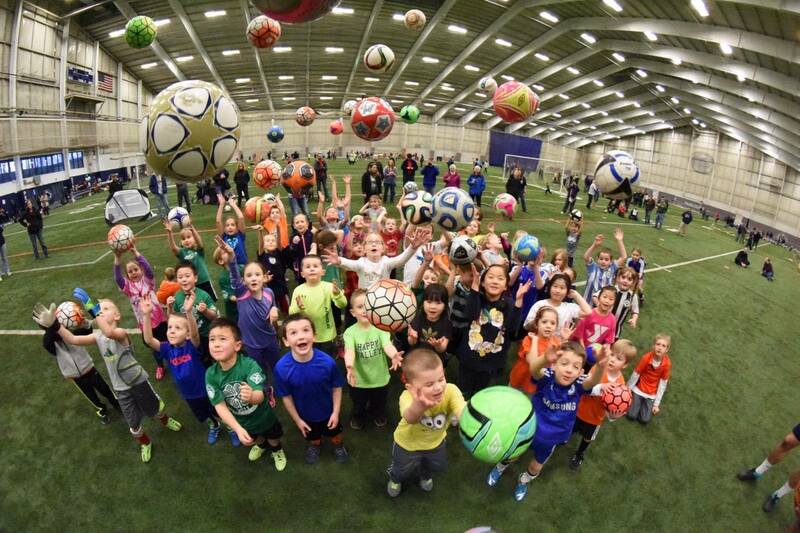 We have been overwhelmed by the outpouring of support from the soccer world. 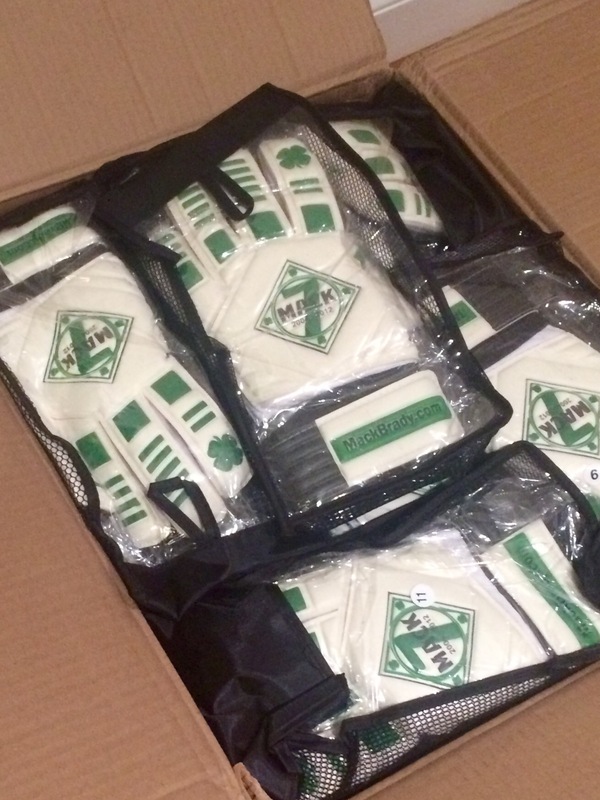 We have received letters and emails from more than a half-dozen current MLS goalkeepers and even more coaches. We had no idea, but Mack was and is a part of a very special group, the Goalkeepers Union. The GKU has now taken us in as their own and we are so humbled and thankful. Below is the letter sent from Tim, but know that we are so grateful for all the letters and emails that we have received. 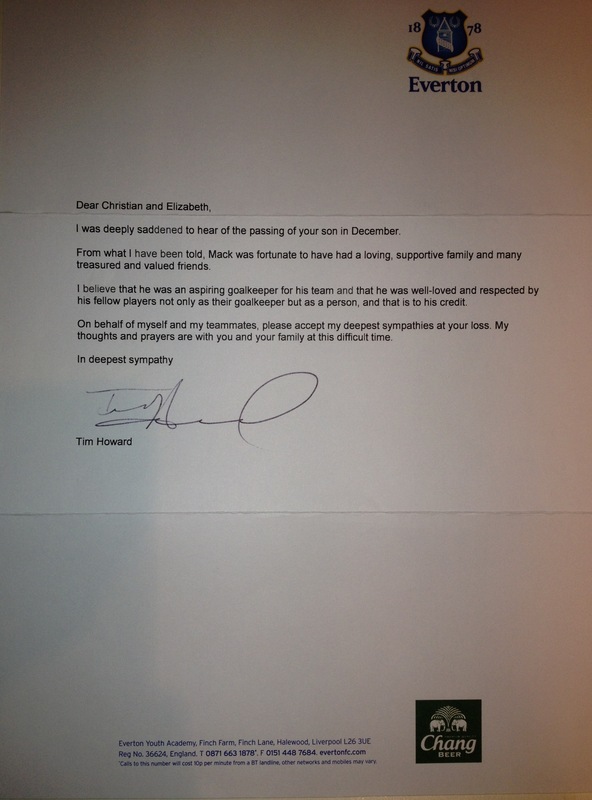 What a wonderful letter from Tim Howard, so kind and heartfelt! He too is my favorite goalkeeper and I love his passion and fire..In the few pictures I have seen of Mack he had that same intensity and passion when he was in goal..I’m sure the scholarship you have established will help to make some young soccer player’s dreams to come true and Mack’s passion will live on through this generous gesture..I am amazed at your family’s strength and I think all who have followed have learned much about life, death, dreams and living in the present..thank you for so openly sharing your heart, love and grief as I know I have been touched in a special way through your son..Maybe it was the mutual love of soccer we shared, or maybe it is the special love that only a parent can feel for their children, a love that was so strong in your family. I felt your pain so deeply even though I have only met you once or twice, but I remember seeing the two of you at the PSU soccer matches..Life is continuously presenting us with challenges, joys,heartache, and healing..I wish only the best for your family in your healing and celebrating of Mack’s life and I thank you for teaching me more about life through your writings. 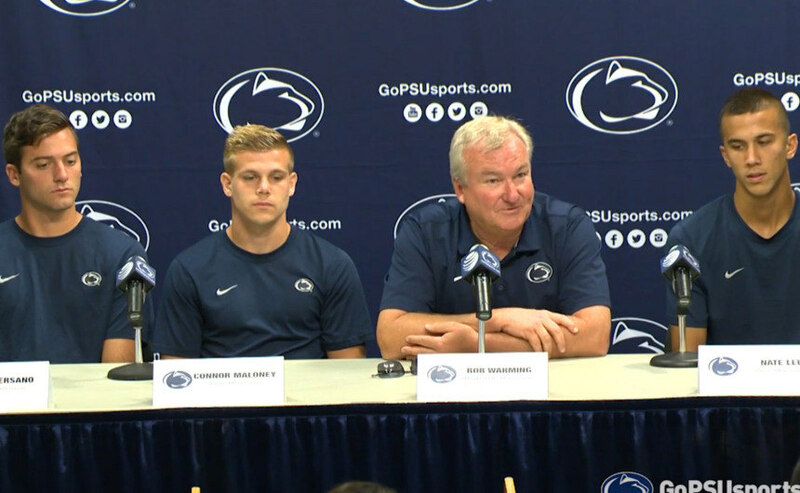 I look forward to watching that lucky soccer player that will have Mack’s spirit whenever he takes the field.